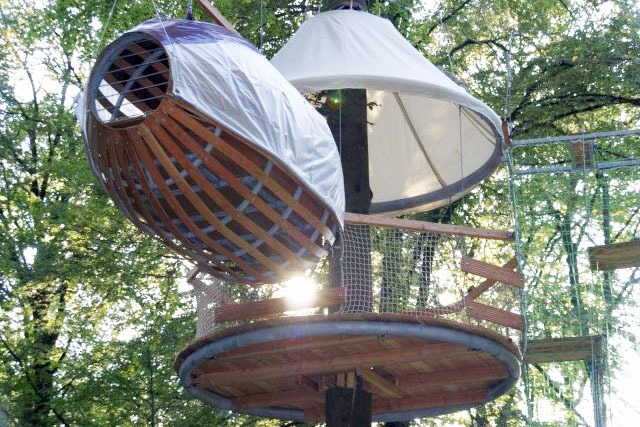 <a href="https://inhabitat.com/treehouses/">Treehouses</a> come in all shapes and sizes, ranging from a simple platform suspended in a tree to a home with full plumbing and electrical services. 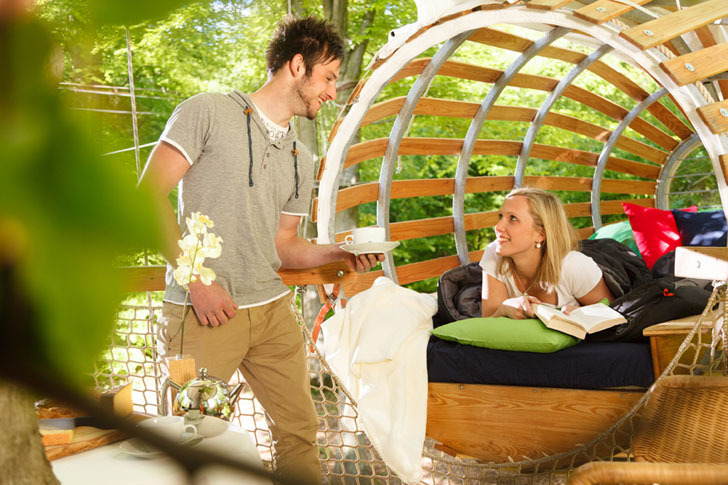 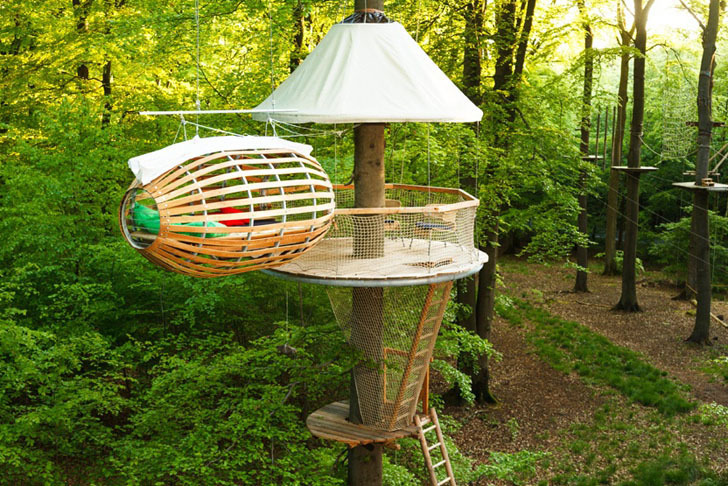 On the broad spectrum of treehouse design, the <a href="http://www.erlebnest.de/">Erlebnest</a> by German company <a href="http://www.cambium-gmbh.de/en/">Cambium GmBH</a> falls somewhere in the middle. 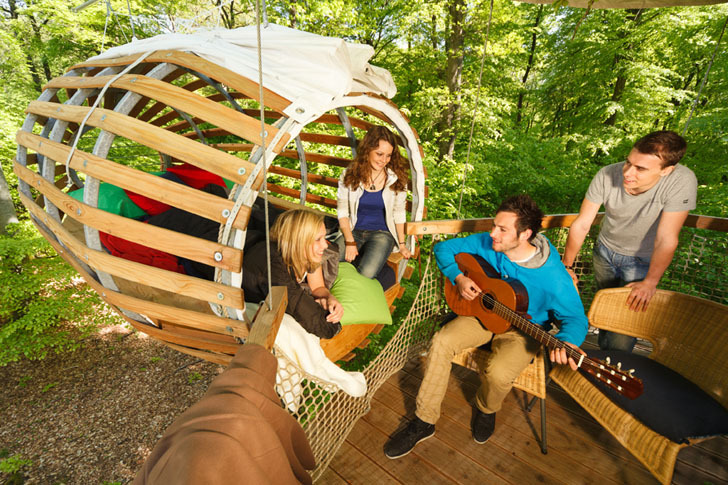 Spotted by our friends over at <a href="http://www.treehugger.com/green-architecture/erlebnest-minimalist-treehouse-more-wire-wood.html">Treehugger</a>, the minimalist structure consists of a large, round, open-air covered platform for dining and lounging and a smaller tube-shaped sleeping area that floats next to the main platform. 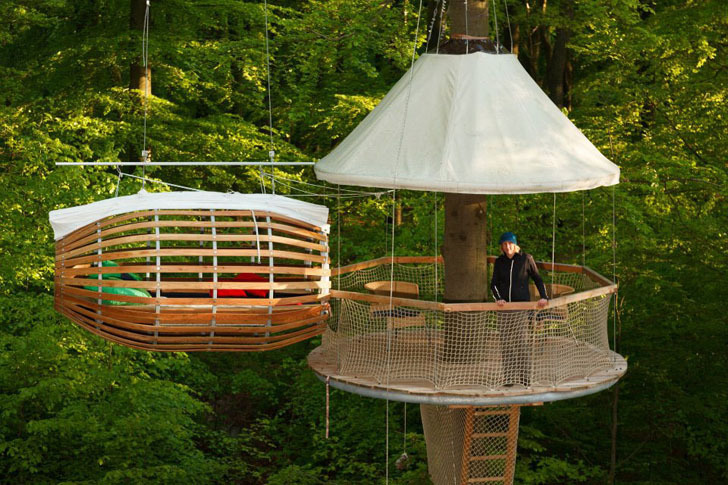 Together, they combine to form one of the most inviting treehouse retreats we've seen. 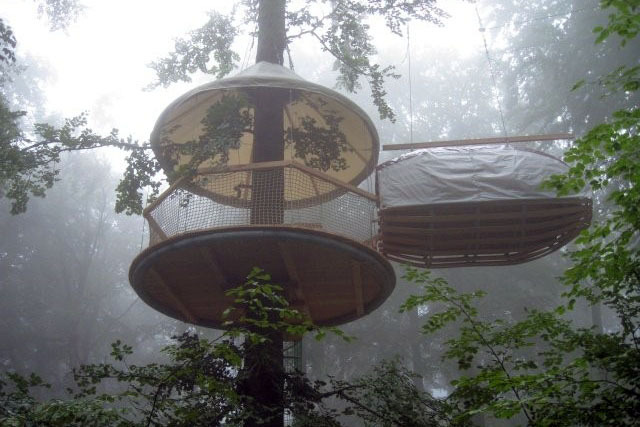 The first Erlebnest has been installed in <a href="http://en.wikipedia.org/wiki/Bingen_am_Rhein">Bingen am Rhein</a>, and Cambium plans to build six more of them next year in Lake Constance.